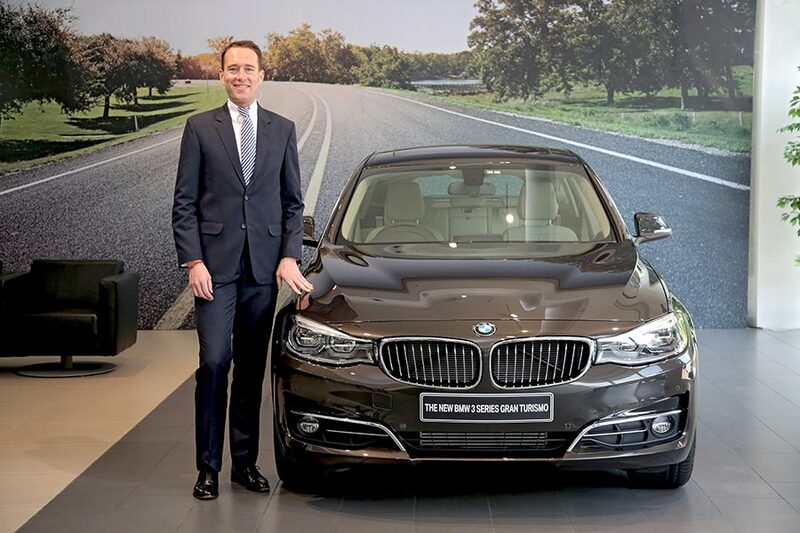 Locally produced at the BMW Plant Chennai, the new BMW 3 Series Gran Turismo is available in diesel and petrol variants at all BMW dealerships across India from today onwards. The BMW 3 Series Gran Turismo established a new vehicle concept in the segment and became a trailblazer with its unique and modern character. The new BMW 3 Series Gran Turismo serves up its blend of luxury-class elegance, sportiness and spaciousness in even more sophisticated form. The new BMW 3 Series Gran Turismo unites the best of both worlds- an embodiment of pure dynamism and a sense of spaciousness. It exudes aesthetic and emotional appeal, boasts a distinctive presence on the road and offers similarly pronounced driving pleasure. The new BMW 3 Series Gran Turismo is available in two exclusive design schemes – Sport Line and Luxury Line. Sport Line celebrates the gust of adrenaline with sporty styling and interiors while Luxury Line indulges you to move in style with elegant contours and luxurious features. The exterior of the new BMW 3 Series Gran Turismo is even more dynamic and eye-catching. Typical BMW proportions, four doors with frameless windows, a coupe-style, gently downward-sloping roofline and a large automatically opening and closing tailgate, define the distinctive exterior character of the BMW 3 Series Gran Turismo while the L-shaped lights at the rear underline the broad shape of the vehicle. The newly designed LED headlights coupled with LED rear lights, further enhances the new BMW 3 Series Gran Turismo’s stylish appearance. The Adaptive LED Headlights with automatic height activation and four ‘white’ LED corona ring design lends the car a sportier appearance. The Intelligent Light System also includes Adaptive Cornering lights and High-beam Assistant system which provides optimum road illumination in all conditions. Imposing spaciousness is one of the outstanding qualities of the new BMW 3 Series Gran Turismo, and together with the heightened seat position and generously proportioned interiors, ensures first class comfort. Extra chrome around the interior controls, and new decorative wood elements, colours and leather trim variants take perceived quality to another new level. The new elegant design of the Center Information Display (CID) brings structure and optical harmony to the interior with its typical BMW horizontal lines. The space argument is particularly persuasive in the rear compartment, the adjustable rear seat backrest maximises relaxation, while the cargo function increases the 520-litre boot by up to 33 litres. Folding the rear seat backrest in a 40:20:40 split adds an extra 1,600 litres. The new BMW 3 Series Gran Turismo adapts perfectly not only to an active lifestyle but also to personal taste. The two exclusive design schemes – Sport Line and Luxury Line offer options that meet individual requirements. The new BMW 3 Series Gran Turismo with Sport Line sets clear visual accents. Its striking design features in high-gloss black reinforce its sporty look. The boldly designed kidney grille slats in high-gloss black produce an especially athletic effect for the front end. On the inside, contrasts between black and red express the typical BMW athleticism: red contrast rings on the round gauges of the instrument panel, including sporting chromo scaling, red contrast stitching on the sports steering wheel and a basic decorative trim strip in high-gloss black with coral red accentuated strip. Additional upholstery options are also available with Sport Line. As a distinctive feature of the Sport Line, the vehicle key is designed in black with a red decorative strip. The new BMW 3 Series Gran Turismo with Luxury Line impresses with its classic and elegant design. Discreet and refined design elements made of black high-gloss chrome unit bring exclusivity to the exterior and are characteristic of the individual features of the line. Inside, the aluminium door sill plates, sports leather steering wheel, exclusive colours for the ambient lighting and chrome edging for the air vents all catch the eye. The innovative petrol and diesel powered engines from the BMW EfficientDynamics family offer considerably more spirited power delivery as well as spontaneous responsiveness even at low engine speeds, thanks to BMW TwinPower Turbo Technology. The two-litre four cylinder diesel engine of the BMW 320d Gran Turismo produces an output of 140 kW / 190 hp and produces a maximum torque of 400 Nm at 1,750-2,500 rpm. The car accelerates from 0 -100 km / hr in just 7.7 seconds. The two- litre four cylinder petrol engine of BMW 330i Gran Turismo produces an output of 185 kW / 252 hp and produces a maximum torque of 350 Nm at 1,450 – 4,800 rpm. The car accelerates from 0 -100 km / hr in just 6.1 seconds. The new BMW 3 Series Gran Turismo provides unparalleled performance coupled with cutting-edge safety technologies. BMW’s exemplary safety provides optimal support in any situation with six air bags, Anti-Lock Braking System (ABS) with brake assist, Dynamic Stability Control (DSC) including Dynamic Traction Control (DTC), Cornering Brake Control (CBC), Side-impact Protection, Runflat tyres with reinforced sidewalls, emergency spare wheel, electronic vehicle immobiliser and crash sensor. BMW EfficientDynamics measures make a key contribution to the excellent fuel efficiency of the new BMW 3 Series Gran Turismo. Aerodynamic excellence and the accompanying reduction in fuel consumption are guaranteed by details such as the side air blades on the tailgate and the air curtain integrated into the air inlets at the front. These measures are aided by additional features such as the 50:50 weight distribution, low centre of gravity, intelligent lightweight construction, automatic start/stop function, ECO PRO mode, brake energy regeneration, electric power steering and more. 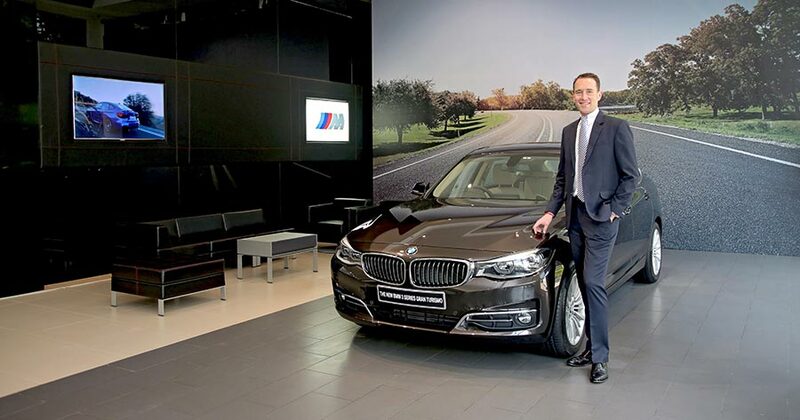 BMW has been setting the standard for connectivity between human, car and the outside world for many years now. The BMW ConnectedDrive features BMW iDrive (the on-board Driver Information system) with 22.3 cms display, BMW Navigation system Professional with 3D maps (integrated Global Positioning System-GPS), BMW Apps, Park Distance Control (PDC), Connectivity through Bluetooth and USB/AUX IN connectivity.